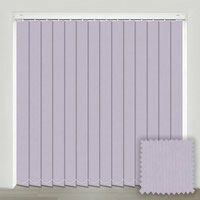 Our luxurious collection of purple blackout vertical blinds is the perfect way to control sunlight whilst adding a fabulous splash of colour to the décor. Choose from delicate pastel shades for a subtle soothing look, or go for a deep, rich colouring if you prefer a more dramatic appearance. Blind arrived well packed and on time. Very pleased with this product which is a perfect fit. Easy to fit, good quality and price. Really impressed with the quality, perfect measurement, easy to fit and arrived as expected. 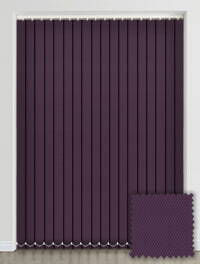 I couldn't fault anything; in fact, I've ordered a second blind as I am so pleased with this one. Thank you! Excellent service, very pleased with the quality, would and have recommended you. The service was brilliant - I ordered and the blinds arrives - furthermore, the wood used to make the blinds comes from a sustainable source and this is the one reason why I chose this company in the first place. First class service, excellent product. well manufactured and delivered on time. Would recommend this company, very efficient and excellent workmanship, thank you. 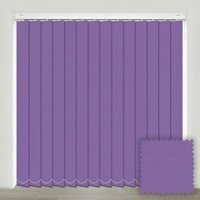 Very sturdy and good quality blind. Also had vertical one made which was spot on. Their measurements section was informative and easy to follow.